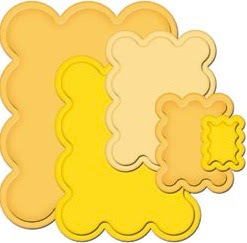 Big Scalloped Rectangles Small - Nestabilities! Now it's time for a new Product Spotlight Sale!! 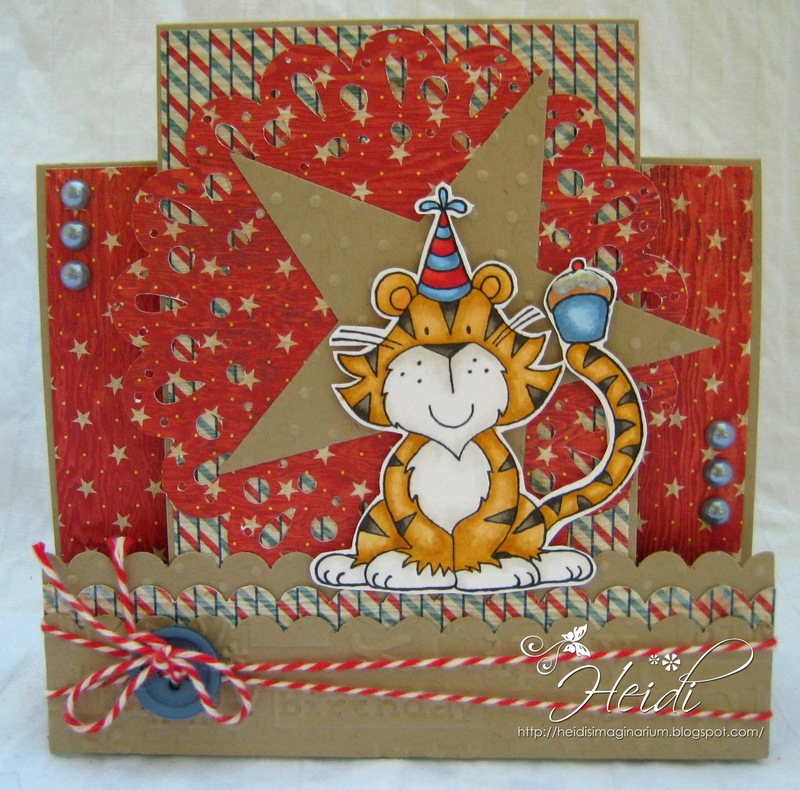 all stamps in the Birthday Category are on sale 25% off!! I used Wags n' Whiskers Toby's Tasty Treat, Basic Grey Life of the Party 6x6 Paper Pack, CC Designs TearDrop Doily Die, and Kaiser Craft Pearls "Denium". I created a Zig Zag card which is this months Stamp and Create Challenge! I also created an easel card using Wild Rose Studio Motorbike. The paper is Echo Park Dots and Stripes 6"x6" Paper Pad. 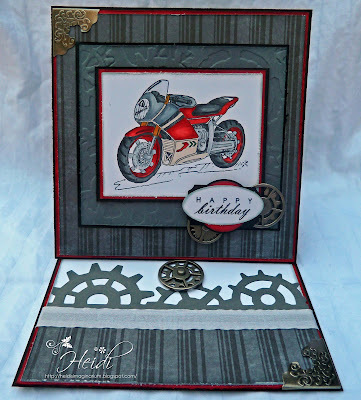 I also used Tim Holtz Sprocket Gears and Metal Corners. Beautiful card! I've added the link to the blog candy - thank you!